There was 1980s-style power suiting, hats with netting and plenty of the bang on color trend of the season -- bright yellow and pale lemon. 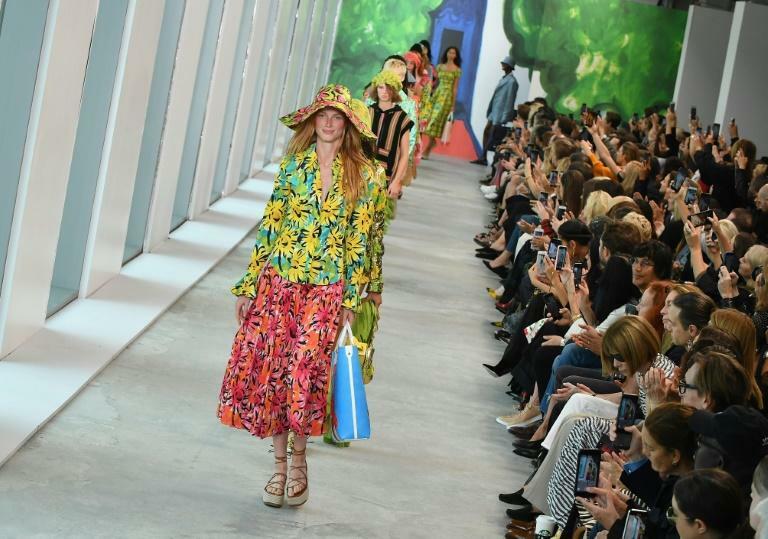 Earlier in the day, Michael Kors kicked off the end of the bi-annual style fest with A-listers Nicole Kidman and Catherine Zeta-Jones front row for a happy collection inspired by the beach. Kors put fringes on jackets, skirts, pants and shoulder bags, a trend this season also on display at Longchamp and Coach, and stayed true to his recent M.O of including curve models on the runway.